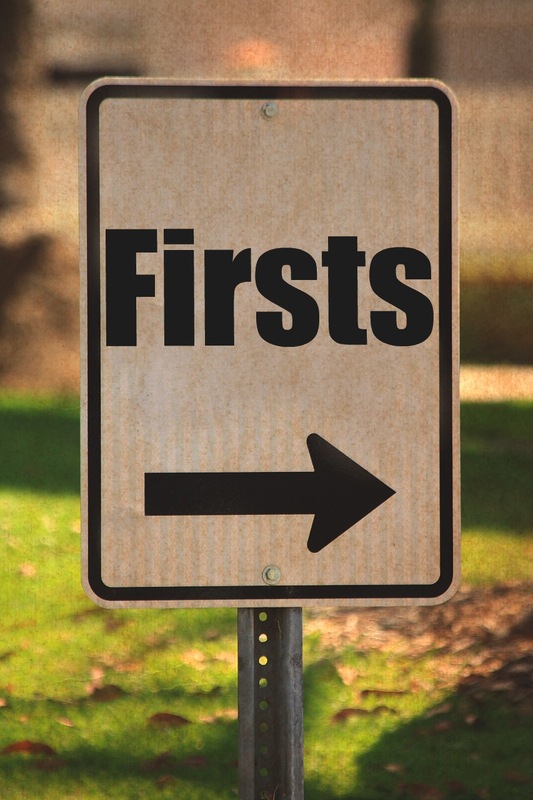 In celebration of the beginning of a new year, here are four pieces which qualify as musical “firsts.” Listen to the music on the list and then share your own favorite musical “firsts” in the comment thread below. Let’s start with the birth of opera. Italian Renaissance composer Claudio Monteverdi (1567-1643) is often credited with singlehandedly inventing the art form. In reality, opera gradually evolved out of Intermedio, music and dance sequences which were performed between the acts of early seventeenth century plays. At least two fledgling operas by Jacopo Peri, Dafne (1598), and Euridice (1600), predated Monteverdi’s Orfeo (1607). But with Orfeo, Monteverdi assembled all of the pre-existing building blocks (aria, recitative, chorus) to create the first mature and fully developed opera. For the first time the blending of music, libretto and staging realized its full dramatic potential. Four hundred years later, Monteverdi’s Orfeo is still regularly performed. Listen to the haunting recitative from Act 3, Possente spirto (“Mighty spirit and formidable god”), in which Orpheus attempts to cross the river Styx into Hades. Learn more about the history and synopsis of Orfeo here. Mozart was eight years old when he wrote Symphony No. 1 in E-flat major, K. 16. Although he was already known throughout Europe as a wunderkind piano sensation, he had composed little music. The First Symphony was written in London (Chelsea) during the summer of 1764 while the Mozart family was in the middle of a concert tour of Europe. A plaque marks the house today. Listen carefully to the four note motive in the opening of the second movement (6:07). This motive returns in the final movement of Mozart’s final symphony (listen to Symphony No. 41 “Jupiter” here). The opening of the first movement of Beethoven’s First Violin Sonata grabs your attention as if to say, “Here I am!” This opening firmly establishes the home key of D major, but listen to the way we’re pulled into increasingly distant keys as the movement progresses (especially in the development section beginning at 5:26). This opening movement is marked, Allegro con brio (with fire). Listen to the dialogue between the violin and piano. Beethoven dedicated this sonata, written in 1798, to his contemporary, Antonio Salieri (1750-1825), the Italian composer who popular legend has erroneously accused of murdering Mozart. The final movement seems to sparkle with the light frivolity and humor of Italian opera. Listen to the second and third movements. method of composing with twelve tones which are related only with one another.